Based in Toronto at the 401 Richmond building, the Red Head Gallery is a professional artists’ collective comprised of 17 members. 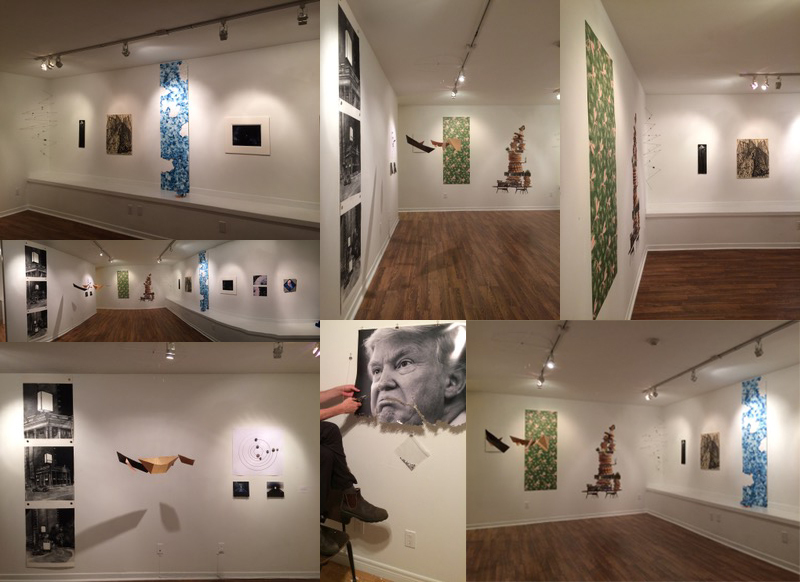 Though primarily dedicated to exhibiting members’ works at the Red Head Gallery, the collective periodically creates a travelling group show to exhibit members’ work beyond the greater Toronto area, and to forge connections with other artist run collectives. This show, big/SMALL, is such an endeavor. The Red Head Gallery proposed an exchange exhibition with Hermes gallery because the two collectives share member connections: Peter Dykhuis, Hermes member and co-director, was a member of Red Head for many years, and Leah Garnett is a current member of both collectives. Furthermore, as a collective celebrating its 27th anniversary in 2017, Red Head was excited about working with a new collective. Red Head is thankful for the opportunity to exhibit big /SMALL and to introduce its members to the Maritimes; and we greatly look forward to hosting a group exhibition of Hermes members in July 2018.
big/SMALL evolved from a physical constraint into a thematic framework. The collective needed to develop a show that could ship at minimal cost, a fact that restricted the weight and size of all 14 works in big/SMALL. Bound by a size limitation, each member used this condition to consider big/SMALL as a conceptual exploration. This “assignment” resulted in diverse solutions that reflect the collective’s range of practices and experiences. big/SMALL includes works by: Jim Bourke, Jack Butler, Tonia Di Risio, Teri Donovan, Leah Garnett, Phillip Hare, Gillian Iles, Margie Kelk, Ian Mackay, Lois Schklar, Christina Sealey, Peggy Taylor Reid, Sally Thurlow, and Elaine Whittaker.